Eludina Gonzalez has been a teacher for eight years at PS 35. She was a first grade teacher for five years, and now teaches 2nd grade and loves it. After reading and learning that seeds come in different shapes, sizes, and colors, the students planted three different types of seeds to find out which seed would sprout the fastest. A week after planting the three seeds, students observed their seeds to determine which seed had grown the most. When they had completed their investigations, they completed two computer projects. 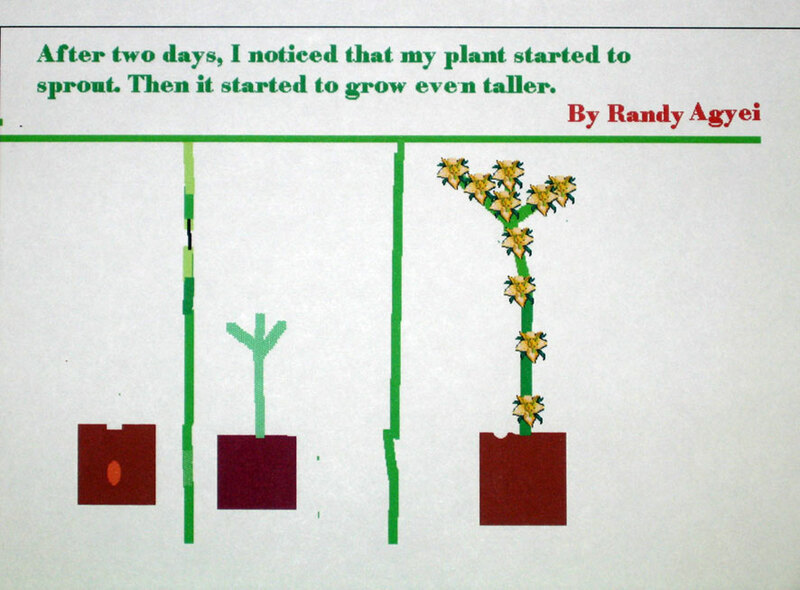 In the first activity, the students used kidpixto draw a diagram of how plants grow. 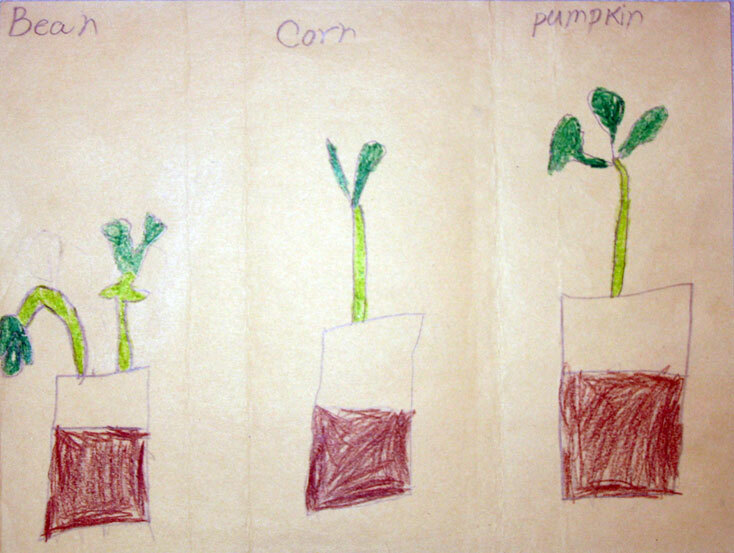 For the second computer activity, they used Microsoft Excel to create a bar graph of their seed's growth. I asked students to present their findings. Peer evaluation was used as the students presented their information. I also reviewed their record sheets and their final products. 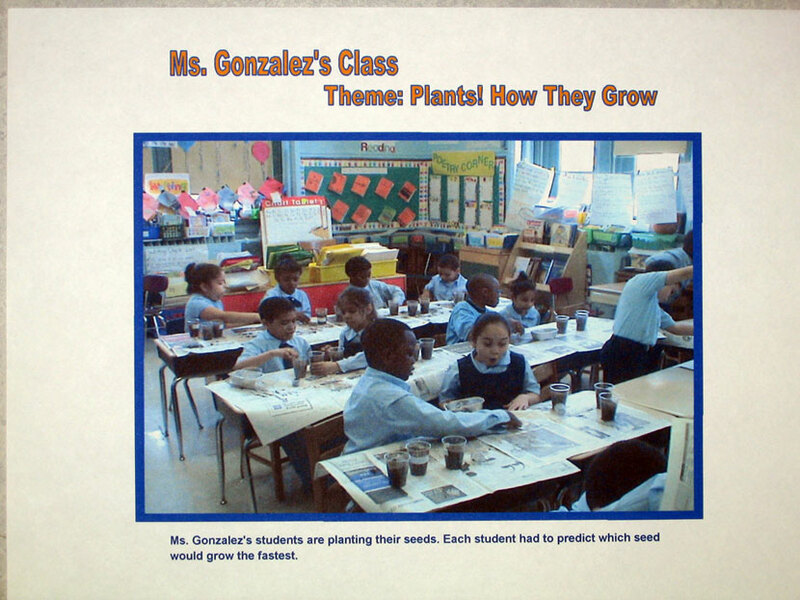 Try planting different seeds so students can appreciate the uniqueness of each individual seed.